U.S. Attorney General Jeff Sessions threatens Chicago and other sanctuary cities – and Mayor Emanuel fires back. “The city of Chicago will not turn its back on people who believe for their children America still is a place of promise,” Emanuel said. Meanwhile, Illinois politicians are front and center on the immigration debate. And while Gov. Bruce Rauner placed his business interests in a blind trust when he took office, a newly revealed lawsuit suggests he continues to be involved in his financial dealings. Illinois’s legislative inspector general rules that state Sen. Ira Silverstein did not engage in sexual harassment. 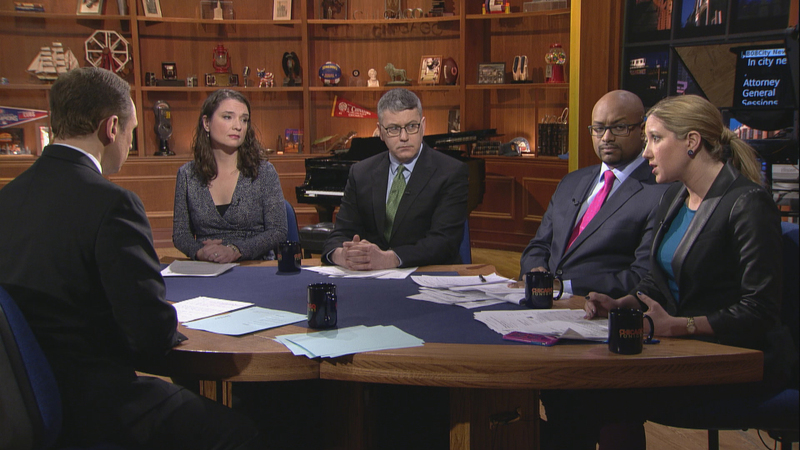 In the first televised Democratic governor’s debate, the rivalry between candidates J.B. Pritzker and Daniel Bill took center stage. Acting Chicago Public Schools CEO Janice Jackson officially gets the job. Ald. Ed Burke comes under fire for a questionable move that protects two of his law firm’s clients. In case you missed it, last week we celebrated the 40th anniversary of “The Week in Review” – and Joel Weisman’s final show as host. Watch that special hourlong episode here. The conversation continues in our web-extra video. This week, Arruza and guests talk about last weekend’s March to the Polls.